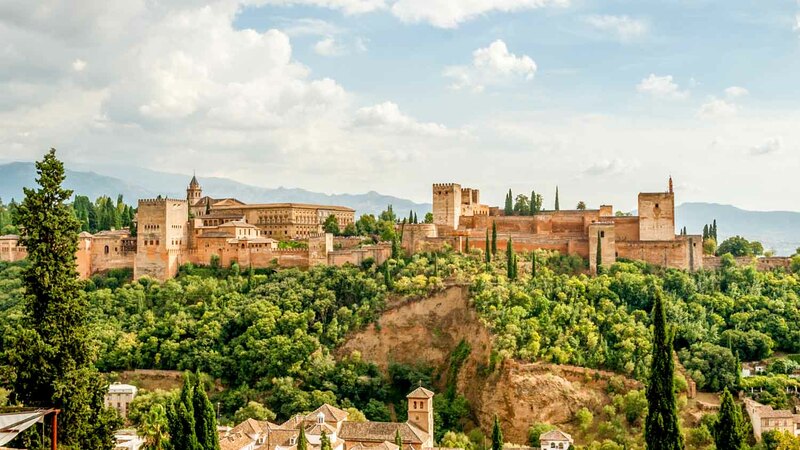 Explore the Alhambra Palace complex on a guided tour. Admire the exquisite fusion of Islamic art and culture in one of the world's top attractions. Granada's Alhambra Palaces, built for the court of the Nasrid dynasty, date back to 889AD. So much history means there's quite a lot to learn. So, where should you start? This former stronghold is the oldest part of the complex, dating back to the 13th century. It protected the Muslim settlers of Andalucia from the Catholic Crusaders. 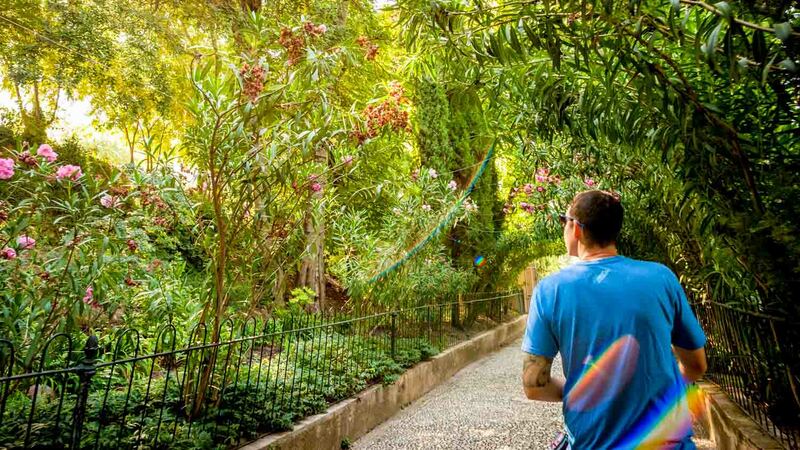 Once the summer residence of the sultan, the palace is surrounded by lush vegetation in the gardens (now enjoyed by visitors in the present day!). 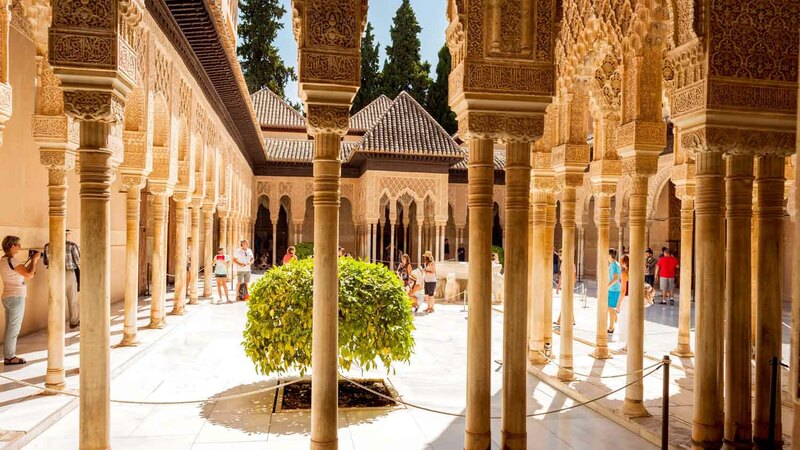 View the main courtyard of the Nasrid dynasty's regal home, and take a step back into medieval Mediterranean times. Book a night tour to see the illuminated beauty of it all. Named for large marble stones in the floor, this central hall boasts carefully-crafted lighting and intricate detail. Pause, and imagine the sultana and her family that lived here. The palace is located in the Albayzin neighborhood. Find a winding side street in the town, and stop to take beautiful photos of the Alhambra from afar. The palace is open all year, except for December 25 (Christmas) and January 1 (New Year's Day). The open times are divided into morning tickets (8:30AM to 2:00PM) and afternoon tickets (2:00PM to 8:00PM). Entry to the Nasrid Palaces is allocated per half-hour time slot. Tickets for the night visit to Nasrid Palaces are valid from 10:00PM to 11:30PM. There is no dress code for the palace, but be aware that some other Catholic establishments in the city may require arms and legs to be covered. And remember to stay in the shade and drink lots of water! Public transport (line C3) will take you right to the ticket office. Alternatively, you can walk. There are a few different routes from the city center (about 800m each). The most serene, beautiful, and historically interesting is the road from Plaza Nueva. 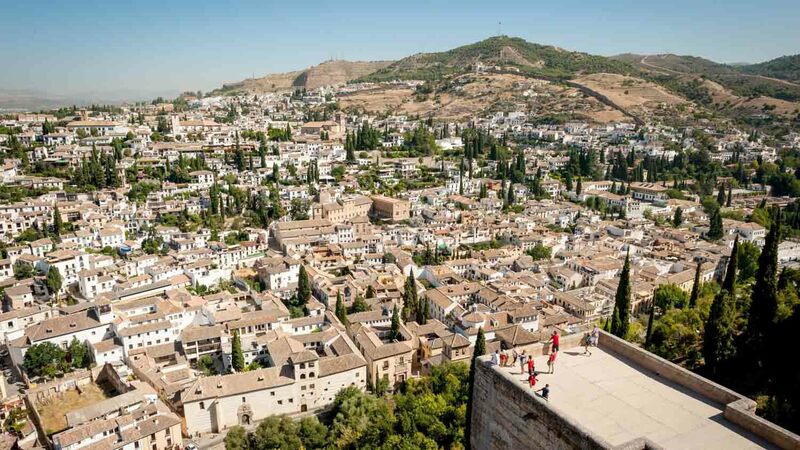 The route will take you up the Cuesta de Gomérez, through the Gate of the Pomegranates, and into the tree-lined avenues that lead to the Alhambra. The adult ticket prices start at €14.00, and booking in advance is highly recommended. You may be interested in an expert's narration while you try to take in the architecture, room by room. Public transport (line C3), car, or on foot from the city center. This attraction is free for children under twelve years old, but booking is still required. Entrance to the Nasrid Palaces is allocated per half-hour time slot. Don't be late! Excellent guide, highly recommend this tour. We had a wonderful tour of the Alhambra and Generalife with Hamdi as our guide, it was just a small group of 10, so really easy to follow all the information. The palaces and gardens are beautiful and it was a really enjoyable afternoon, Hamdi really brought the place to life and pointed out details that we would never have spotted without a guide. The guided tour really enhanced an amazing visit, the highlight of our trip to Granada. Highly recommended. Laura was a very informative and knowledgeable guide. It was a great tour. The group was sold as small but we were 27 with 3 not showing. Amazing, this is an absolute must if you visit Granada! Isa was out tour guide and she was outstanding. 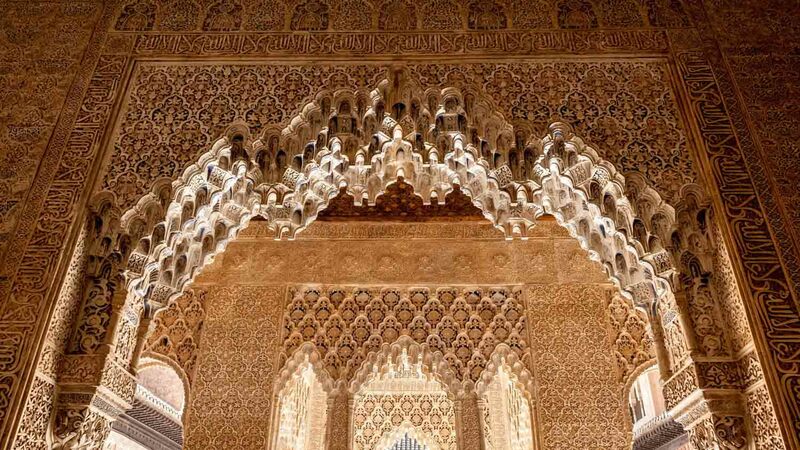 Both the knowledge and passion were key elements and made the Alhambra tour a very special one. Without a doubt book this tour in advance! We were not planning on going on a guided tour of the Alhambra, but wanted to buy a general admission ticket. But because we got around to booking late, the only way was to book on this tour. Having been on the tour, I’m delighted we were forced down this route. Our guide, Martha, was fantastic. Not only was she friendly and knowledgeable, she also managed to bring together so many of the aspects of the Alhambra’s story to life with human stories. Her enthusiasm for the history of the area shone through and it was hard not to be swept along. I’d thoroughly recommend this tour to anyone who’s prepared to do a bit of walking. The second half of it in the Albaicin was definitely worth while and provided a nice compliment to the morning at the Alhambra. Thank you!